If someone asks you to name a beautiful cosmopolitan, liberal and diverse city on a hill with a spectacular view of the water, you'll probably say San Francisco. After you've been to Israel, however, your answer will undoubtedly change. One of the many jewels of Israel is the city of Haifa, a clean and green city that stretches from the shores of the Mediterranean up the slope of Mt. Carmel and is topped off by the high-rise University of Haifa. Israel's largest major port is located here and its the place where both people and goods enter the country. 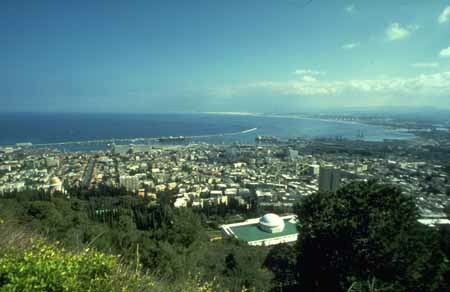 Although it does not appear in the Bible, Haifa is mentioned in Talmudic literature as a well-established Jewish community. Across from the National Maritime Museum on Allenby Road are steps to Elijah’s Cave. According to a Byzantine tradition, this is where Elijah the Prophet hid to escape the wrath of King Ahab. The site is revered by Christians and Muslims, as well as Jews. The first Sunday after Tisha B'Av, Oriental Jews recite Isaiah 40 and ask the prophet to bless their children, cure their illnesses and better their lives. Relics found within the city limits date from the Stone Age to the Ottoman period. 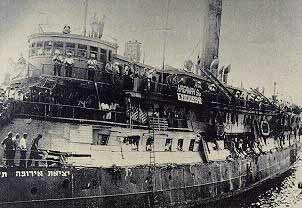 During the Middle Ages, the Jewish settlement in Haifa grew into a shipping center. In 1099, the city was conquered by the Crusaders, who slaughtered all the Jewish inhabitants. The Carmelite Order was established in 1156 over Elijah’s Cave. In 1265, Haifa fell to the Mamlukes, and in 1750 was captured by the Bedouin, Dahar al-Omar, who destroyed, then rebuilt and fortified it. From 1775 until World War I, Haifa was under Turkish control with two interruptions — in 1799, it was conquered by Napoleon and, from 1831-1840, it was under Egyptian rule. In the case of Napoleon, when he retreated from Palestine, he left his wounded soldiers at the Carmelites' hospital at Stella Maris. As soon as the emperor was gone, the local Muslims murdered the Frenchmen he'd left behind. Early in the 19th century, Jews from North Africa settled in Haifa. In 1868, German Templars established Haifa's German Colony and in 1879 European Jews settled in the city. In 1905, a railroad was built from Constantinople to the Muslim shrines of Mecca and Medina in Arabia. The railway passed through Damascus and had a spur that connected with Haifa. That line is long dormant. Today, one of the few places Israelis travel by train is between Tel Aviv and Haifa. In 1918, Haifa was taken from the Turks by the British. During the Mandate period, it was the scene of many dramatic confrontations between the British who sought to keep Jews from entering Palestine and the clandestine efforts of the Haganah to smuggle in immigrants and the survivors of the Holocaust. One of the ships used to run the British blockade, an old American tank-landing craft called the Af-Al-Pi-Chen is in the Clandestine Immigration and Maritime Museum. The large Arab population had relatively good relations with the Jews, even during the British Mandate. After partition, however, a number of violent incidents created tensions, and the Arab decision to prevent the establishment of a Jewish state by force led to the evacuation of much of the Arab population in April 1948 when the Haganah took over the city. The city is divided into four main areas. At sea level, you'll find the bay and port, beaches, some residential neighborhoods and one of the main centers of Israeli industry. Major products produced in Haifa include cement, chemicals, electronic equipment, glass, steel and textiles. 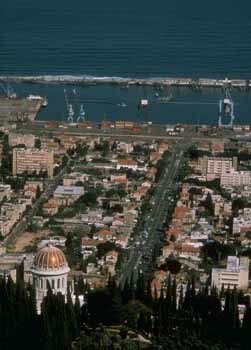 Haifa is also where Israeli oil is refined. As you make your way up the hill, you'll enter Hadar Hacarmel, the commercial center of the city and the home of some of the older neighborhoods. This is the location of City Hall and the old campus of the Technion, sometimes referred to as the MIT of Israel (or is MIT the Technion of the U.S.?). The Technion was founded in 1912, but didn't open for another 12 years because of the onset of World War I and an internal dispute over whether the school should teach in German, the native language of many of the scientists, or in newly revived Hebrew. Higher still is the Mt. Carmel area, which has newer residential neighborhoods and is where you'll find most of the entertainment, cultural and tourist activities. A bit off the beaten path, beyond the commercial and residential section of the city is the University of Haifa. You can walk around Haifa, and it's beautiful, but if you plan to move from area to area, consider public transportation, especially the cable car (Carmelit), since the hills can wear you out. 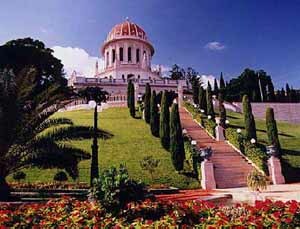 If you prefer to walk, take the "path of the thousand stairs" that starts from the scenic lookout on Yefe Nof Street (Panorama) in Central Carmel and leads down the mountain past the Baha'i Shrine and the German Colony and ends downtown. On Mt. Carmel, don't miss Panorama Road and its spectacular view of the sea. If you're lucky, you may catch glimpses of the U.S. Sixth Fleet and other naval vessels which frequently come through Haifa, one of the sailors' favorite ports of call. Haifa is the third largest city in Israel, with a population of approximately 250,000, and perhaps its most progressive. It has always had a large Arab population and, today, Haifa is one of the few places in Israel where Jews and Arabs are in regular contact and make genuine efforts to promote coexistence. Beit Hagefen is one of the organizations that runs programs in the city for Jews and Arabs. Other minorities have also found Haifa a comfortable place to live. In fact, it is the world headquarters for the Baha’i faith, whose spectacular golden-domed shrine of the Bab is one of the city's landmarks. The shrine, along with the fabulous gardens at the center, make the center a popular tourist attraction. Haifa is a blue-collar town -- it is the place where the Histadrut was founded in 1920 -- that also has a reputation for having a more pluralist approach to Judaism. It is the only city in Israel where the buses run on Shabbat and where many businesses stay open. This has enhanced the city’s image as a good party town. Moreover, the city is a cultural mecca with its own symphony orchestra, theaters, museums and a zoo. The road running past the Baha'i Shrine to the top of Mt. Carmel is known as Sedorot Hatziyonut, Zionism Blvd. Originally the street was named U.N. Blvd. in honor of the international body's role in the creation of Israel. After the UN adopted its infamous resolution equating Zionism with racism in 1975 (which was revoked in 1991), the name was changed.